thanks for this, picross is awesome! Great Game. I like, that it has a story. The only Thing that bothers me a bit are the controls. In most games you use the b- or the x-button for accepting something, so its allways a bit weird when you dont play this game too often and are not used to the controls. 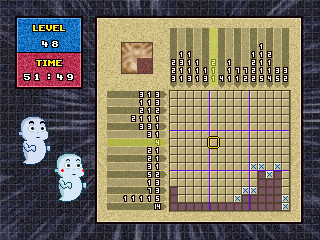 I love Picross, and this is an excellent version of it. Very nice!